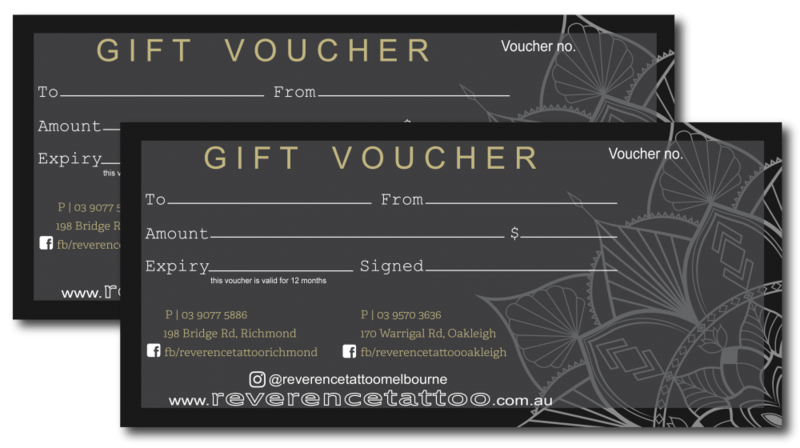 At Reverence Tattoo, our main focus is to make sure you have an unforgettable experience here with us, a great tattoo, and a big smile on your face! Our helpful and friendly tattoo artists are happy to help with any questions you may have about the design and tattoo process, and happily encourage you to be part of that process. If you have inspiration of what you’d like to get tattooed, we will help to create a specialised and individual piece just for you. Our studios are brand new, freshly renovated, with Spotify playing while you get tattooed. We have air conditioning and heating systems so you’ll have the most comfortable experience possible. In some instances, clients want to see a custom design on paper beforehand. Often people have a lot of ideas, but are unsure how to translate it all into their perfect tattoo - no need to be afraid, we can help! We will go through the design process with you to create something you’re in love with, and nothing less! Our artists are based on an hourly rate, which will be clarified once you have chosen your artist, however, we are unable to give prices and estimates over the phone. In most circumstances we need to see the design in person before we can give you an accurate quote. © 2019 Reverence Tattoo, All Rights Reserved.